All the women out there just get ready because Mahgul For Nasreen Shaikh Eid collection 2013 for women has all banged inside the fashion planet. Nasreen Shaikh would surely be a new name for the majority of the fashion lovers. 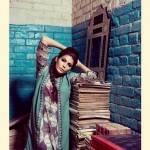 She started her fashion journey by working along with the Rashid Rana. But soon she started her own fashion voyage by establishing her own fashion house with the name of Mahgul. It has been for about the last 6 years this designer and her brand has been offering brilliant clothing collections for the women. This is basically the pret a porter brand that serves out with the formal wear and bridal wear collections. This time Mahgul by Nasreen Shaikh has showcased out their classy and magnificent looking Eid collection 2013 for women. This Eid collection 2013 is definitely designed in just modes and styling that is actually forcing the women to forget blinking their eyes. This whole Eid collection has been entitled as “The Archive Collection 2013”. In this collection the women will catch up the long shirts and tops that are moved along with the tights and trousers. In this way the women will capture the western and eastern styling of dresses inside this collection. Here we are pasting few pictures about Mahgul by Nasreen Shaikh Eid collection 2013 for women. In all the Eid dresses creative sort of the cuts and hues have been added along with the embroidery versions as well! 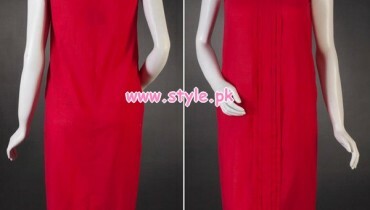 The color blends used for the collection dresses are maximum vivid and vibrant shaded. This collection is yet one of the perfect examples of the traditional and modernity styling concepts. On the whole of it this Eid collection by Mahgul by Nasreen Shaikh has been remarkable alluring and splendid designed together in favor of the women.